At last a cordless autoclamp chainsaw sharpener with all the power you need. The Portek Flexisharp rechargeable chainsaw sharpener is perfect for working away from a power supply as it comes with a long lasting rechargable 18v battery. THe ability to bench-mount it means it can be kept at a workstation without worrying about power leads getting in the way. 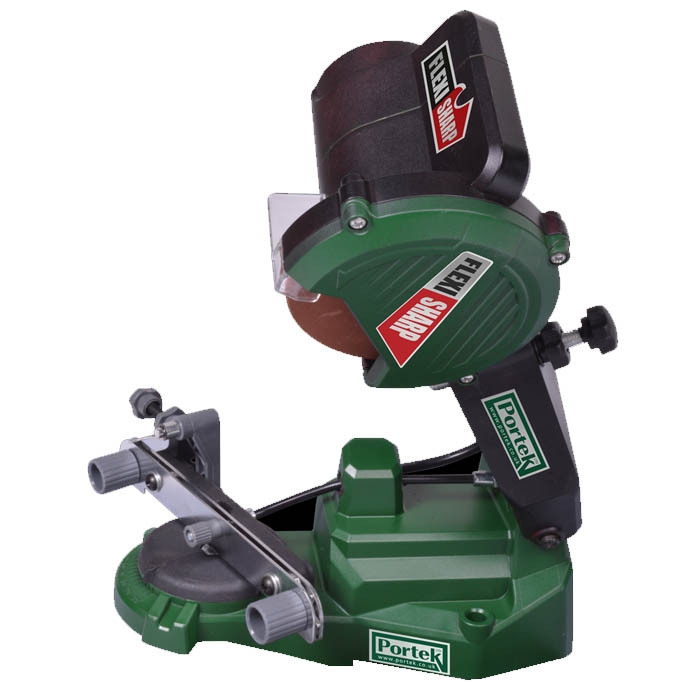 The unit also clamps the chain automatically as the sharpening wheel is lowered – keeping it place and allowing you to keep your chains sharp with the minimum of fuss, and speeding up the process hugely compared to manually sharpening each link. Suitable for all makes and sizes of chain, and with adjustable cutting angles, the Flexisharp is a no-brainer for any professional or domestic gardener who uses a chainsaw. Replaceable grinding wheels available on request on 01962 857951.